I wanted a simple yet sophisticated nursery that we could easily change as our son got older and grew into his personality. I painted the walls a great green wall color by Sherwin Williams. The crib and rocker came from Walmart. The dresser was a hand-me-down sideboard from my in-laws dinning room that I painted an antique white and distressed. Original knobs. I wanted to switch them out but couldn't find any double screw knobs at my local hardware store and I was too impatient to fill the holes to change the hardware. The oversized knobs grew on me after awhile. My dad made the bookcase for my baby shower. I also used an old hutch from my college days that I painted chocolate brown and distressed slightly to display keepsakes and photos (you can't see it in this pic). I used a shell lighting pendant from World Market as another mobile for the changing area. 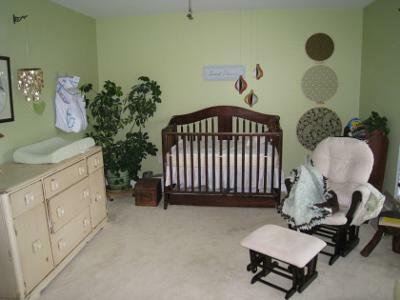 I used quilters hoops to display fabric in the room's coordinating colors to the right of the crib. I hung these with the 3M command strips so I wouldn't tear up the walls when I took them down. 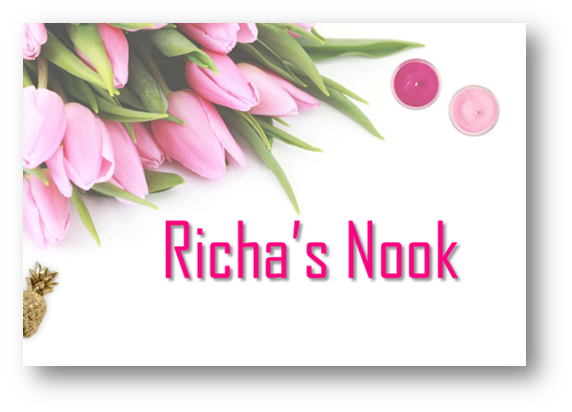 The blanket on the rocker was another gift for my baby shower. What color green is used on the walls? It's absolutely beautiful! Where are the beautiful suncatchers that his uncle Mike made? The color on the walls is just awesome. The crib mobile is so original too. 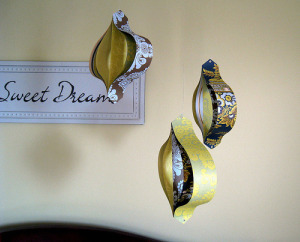 I love the idea of a shell light pendant as a crib mobile.